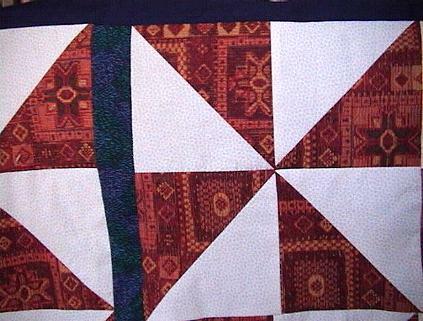 This is a beautiful and colorful new Sampler Pinwheels quilt top that I made. 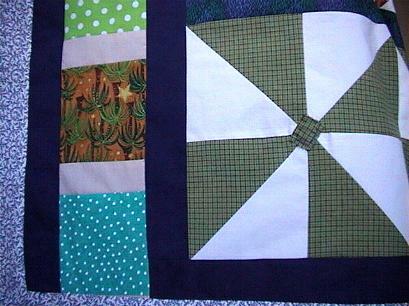 The blocks are pinwheels, in different sizes, 9 patches, triangles and chinese coins. Notice the birds and the florals in the photo above. 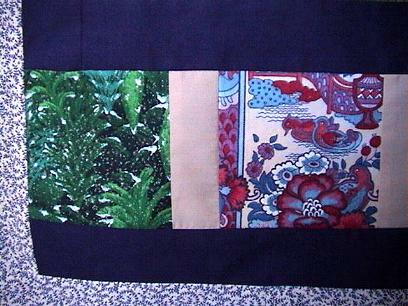 There are leaves blocks on one of the inner borders. So cute and practical. 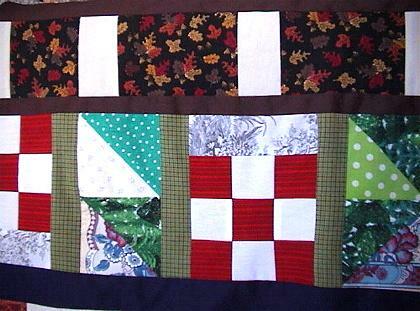 Great for your fall/autumn/harvest theme - or can be used throughout the year. 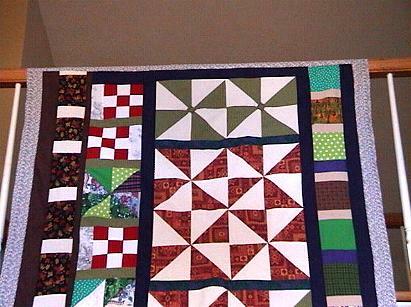 Notice the tonal offwhite fabric below. 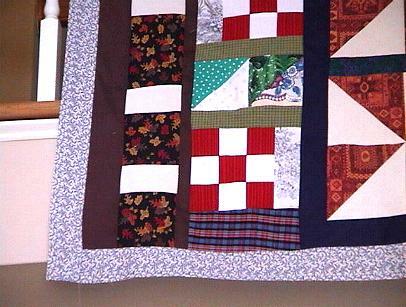 Fabrics in this quilt top are good quality 100% cottons and a few good quality cotton poly blends.